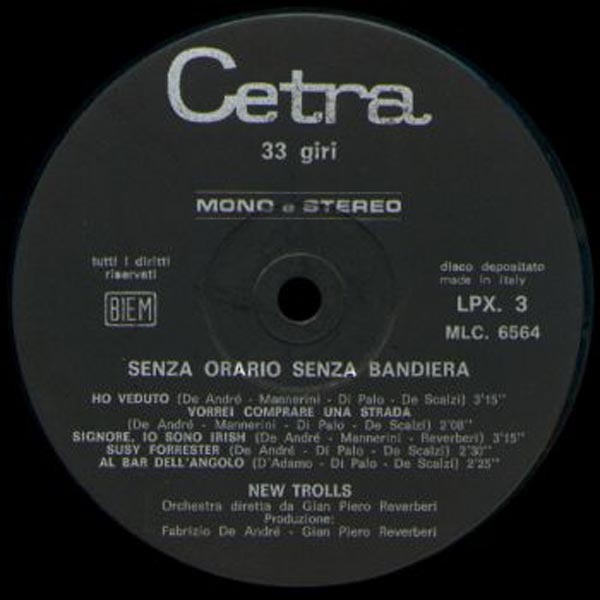 Born from the union of two old Italian record companies from the 30's, Fonit-Cetra was never a really rock-oriented label, but its production during the 70's includes some of the most relevant groups (and beautiful albums) in the Italian rock and progressive scene. The discography below is not complete, because it would be a great work for everyone to collect all the Fonit and all the Cetra releases in every branch of music, so it just covers the LPX (most rock oriented) and LPQ (also including traditional folk artists) series of albums, along with two lonely LPP albums. 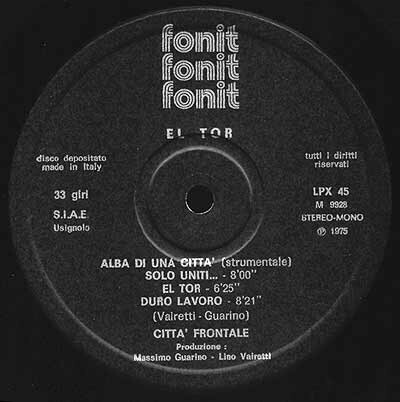 While the albums have a unique numbering system, singles have the SP prefix when on Cetra label and SPF when they carry the Fonit name. 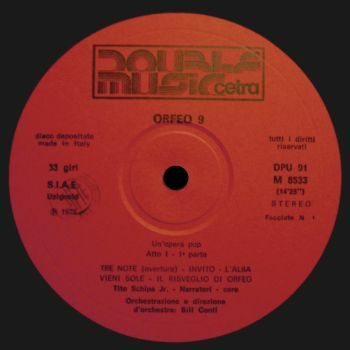 In recent years the popular record label changed name to Nuova Fonit Cetra, but this firm went bankrupt and the illustrious name was taken over by the Warner group, which formed Warner Fonit, now a private company. 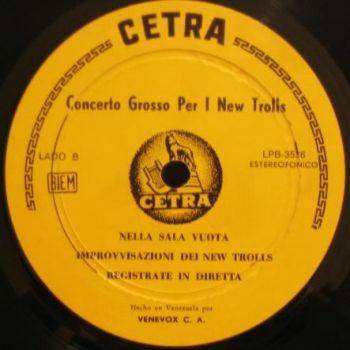 and some have Cetra on their label (whose design is otherwise identical). LPQ 09073 Nicosia & Co. 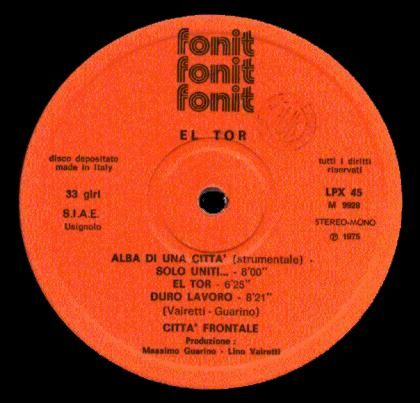 Finally, here below you'll find a small list of the Fonit reissues, divided into the distinct series, the Fonit 3000 (from 1975-76 with single covers usually different from the originals), Double Music (mid 70's, 2-LP low price sets), Pellicano (early 80's, and these also had single covers usually different from the originals) and Fonit/VinylMagic. (the only reissues to keep the same covers as the originals). 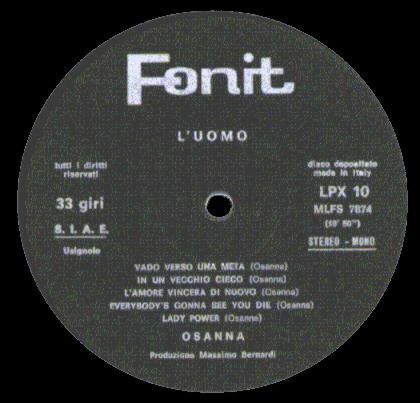 Also included are some relevant Fonit International releases, a label that Fonit briefly used for foreign artists (one of these were the infamous fake Tritons). The listings are not complete and will be updated as soon as there are new additions. Your help May be precious! 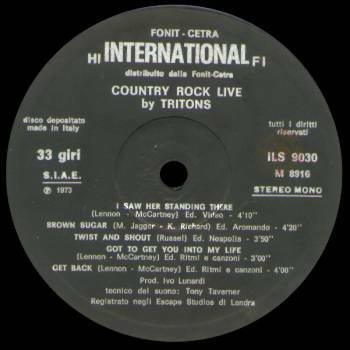 ILS 9031 Tritons Country rock live 1973 laminated single cover - an English session band in disguise under the name of Tritons. Not particularly original in its design, the classic label is all black with silver writing and large Fonit or Cetra name on top side. 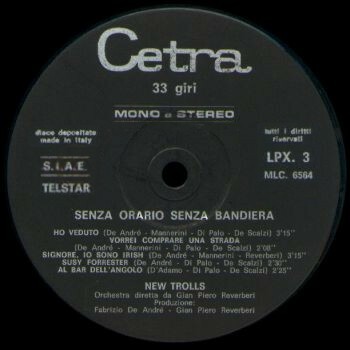 From around late 1968 onwards all the labels carry the SIAE (copyright Italian company) logo or stamp, while the very first issue of New Trolls' first album had a BIEM logo. A unique exception to this rule was the LPP series of albums, that usually included traditional folk music LP's and had a blue label with silver writing. 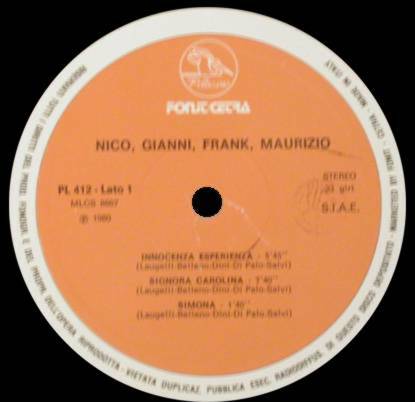 The Ricordi d'Infanzia album was oddily included in this series. Probably around 1974-75 a new design black label with three silver Fonit logos and silver lettering, and this was changed in 1975 to an orange/black one with the same design. 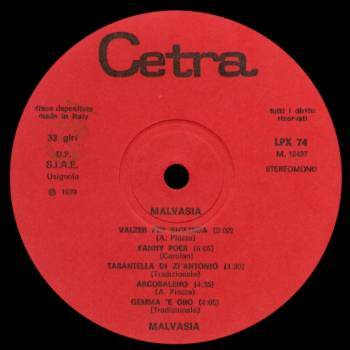 At the end of the 70's some Cetra albums have a red label with black writings that reproduces the classic design of late 60's-early 70's. Special series (Fonit 3000, Double Music and Pellicano) from late 70's and early 80's had all different labels, Double Music having a dark red design, while Pellicano was light orange. 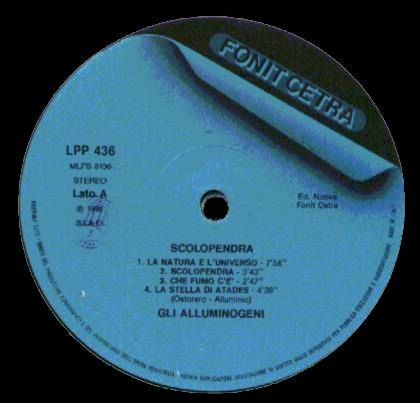 Since late 80's a revamped Fonit-Cetra launched a series of reissues in collaboration with Milan record shop Vinylmagic, first on CD then on vinyl. 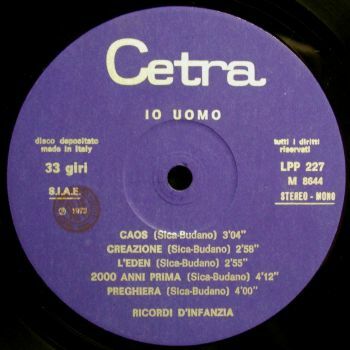 For most of the rarest albums (Samadhi, Ricordi d'Infanzia, Alluminogeni) this has been the only vinyl reissue ever made. These reissues had a new label design with black lettering on turquoise background.